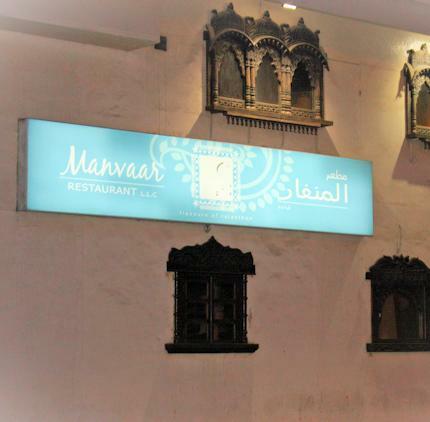 With a charming decor and unbelievable Indian, vegetarian and Vietnamese food, Manvaar Restaurant has been able to make its mark in Dubai in a short period of time. The Rajasthani fare served at this bistro is the specialty of this place. As its luscious taste has so far overwhelmed a number of people, most of the customers are permanent visitors here who come again and again to relish this delicious regional food. On top of it, the murky and affluent embroidery in its interiors make this eating place even more charming. Impeccable service provided by the staff of this bistro perfectly compliments the wonderful decor and food. This restaurant is known for its exclusive and delectable range of Indian, vegetarian and Vietnamese cuisines. However, among these cuisines, Indian regional Rajasthani food is the most notable one as it had swept the guests with its mouth-watering flavours and spices. Dahl bati churma and chicken achari are other standout dishes of this venue. This bistro opens daily and serves lunch from noon till 3:00 pm and dinner is dished up from 7:00 pm till midnight. 20 B Street, Umm Hurari Road, Al Karama, Dubai - United Arab Emirates. 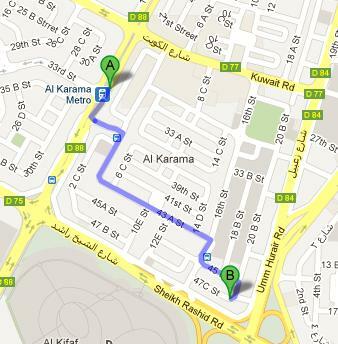 Al Karama Metro Station 1 is 1.4 kilometres away from Manvaar Restaurant, which makes it 18 minutes walking journey. Head southwest on Sheikh Khalifa Bin Zayed Street/D 88 towards 37 A Street from this metro station and then turn left onto 37 A Street. After that turn right onto 4 C Street and continue onto 43 A Street until you reach a right turn that goes onto 16th Street. Later at roundabout, take the first exit onto 45 B Street. Then turn right onto 20 B Street, where destination can be found on the right side. Head southwest towards 45 B Street, from this bus stop and then continue straight onto 45 B Street. Afterwards turn right onto 20 B Street in order to reach destination that is sited on the right. See map for directions. Bus number C3 serves this bus stop, so guests of Manvaar Restaurant can take it to reach near this bistro.